BERLIN It was only a matter of time. With many of its debt-ridden euro partners in recession, Germany could only swim against the tide for so long. Figures Thursday showed that output in Germany, Europe's largest economy, contracted by more than anticipated in the last three months of 2012. And it was the German drop that lay behind a deepening of the recession across the economy of the 17 European Union countries that use the euro. 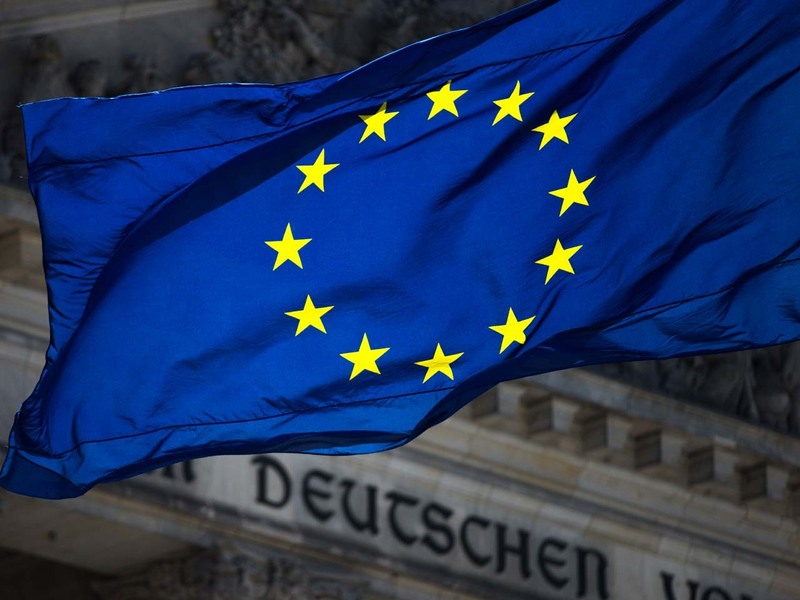 Eurostat, the EU's statistics office, said the eurozone annual gross domestic product shrank by 0.6 percent in the final quarter of 2012 from the previous three-month period. The decline was bigger than the 0.4 percent drop expected in markets and the steepest fall since 2009, when the global economy was in its deepest recession since World War II. There are hopes, though, that the fourth quarter of 2012 will mark the low point for the eurozone, and Germany in particular. Many economists are predicting that the eurozone recession may end in the first half of the year. Nevertheless, Thursday's figures highlight the scale of the problems that have afflicted the single currency zone over the past year. Fears of a break-up, if not a collapse, of the currency dented confidence at a time when many governments were embarked on fairly severe debt-reduction programs. The eurozone has contracted for three straight quarters -- a recession is officially defined as two quarters of negative growth. It's not alone in its struggles -- figures earlier Thursday showed Japan in recession while the U.S. economy was flat in the final quarter of 2012, according to Eurostat. "The fourth quarter's bigger-than-expected fall underlined the fact that, while sentiment towards the region has improved, the hard news on the economy remains distinctly weak," said Jonathan Loynes, chief European economist at Capital Economics. The worry for European policymakers is that output is declining not just in the weaker, debt-laden economies such as Greece and Spain, where governments have been aggressively increasing taxes and cutting spending in order to get a grip on their public finances and relieve the pressure inflicted on them by skeptical investors. The standout from the quarterly figures was Germany. Its economy shrank by a quarterly rate of 0.6 percent in the fourth quarter, more than the 0.4 percent expected, as demand for its exports from its European neighbors were dragged down by the underlying economic malaise. France, Europe's second-biggest economy, also saw output drop by 0.3 percent. Both economies are now one quarter away from recession. Eurostat figures show that seven eurozone countries are in recession -- Greece, Spain, Italy, Cyprus, Portugal, The Netherlands and Finland. ING economist Carsten Brzeski said the German figures were disappointing but that there was "no reason to start singing the blues on the German economy." He noted improving confidence indicators and rising factory orders and industrial production. "There is increasing evidence that the economy should pick up speed again very quickly," he said. For the eurozone as a whole there have been some rosier signs of late. In the first few weeks of 2013, key indicators such as unemployment figures, business confidence and inflation have shown that the eurozone may be over the worst. Meanwhile, financial markets have become less concerned about the region's debt woes -- thanks, in part, the promise over the summer by the European Central Bank to help out countries struggling with their borrowing costs. France, however, appears to be a greater cause for concern as its economy faces a number of problems that don't trouble Germany as much. The French government has to keep a tight leash on its finances, unemployment is around 10 percent and its exporters are struggling, not least in the auto sector, with both Peugeot-Citroen and Renault struggling. Though many analysts think France's recent structural reforms will help make the economy more competitive, any tangible gains will not be seen for a while. "Unfortunately, their positive impact on competitiveness, employment and activity will take time to materialize and will do little to mitigate economic pain in the short term," said Herve Goulletquer, an analyst at Credit Agricole CIB. Alongside the debt-reduction efforts that governments are pursuing across the eurozone, the region's exporters are also having to contend with a currency that has been rallying on foreign exchange markets, potentially making their products less competitive in the international marketplace. Thursday's downbeat figures offered some respite though, as the euro fell sharply against a broad range of currencies. The currency was 0.9 percent lower at $1.3325 and down 1 percent at 124.07 yen.